Ferrari’s Technical Director Mattia Binotto is delighted with the performance of the team's 2018 car, but he refused to pinpoint the main strengths of the package. After winning the 2008 Constructors’ Championship, the Scuderia endured a rather difficult spell, including two winless year in 2014 and 2016. However, it managed to pick up the pace in 2017 to score five victories with Sebastian Vettel even if the Italians played second-fiddle to arch rival Mercedes in terms of peak performance. For 2018, the team showed another lift in performance which prompted many to claim that the Scuderia broke Mercedes’ four-year-long dominance in the sport. 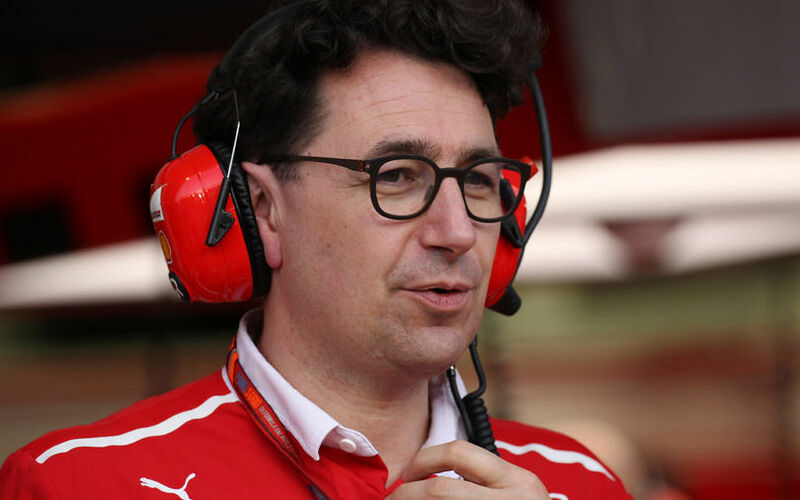 Ferrari’s Technical Director Mattia Binotto who has been part of the team since 1995 praised the whole package of the SF71H rather than pinpointing a particular area. Compared to last year, Ferrari is strong on every type of circuit which was the result of a thorough overhaul of the car. The team identified last year that fast-speed circuits were the Achilles’ heel of the 2017 package which prompted the team to enhance the aerodynamic efficiency of the car. Ferrari is trailing Mercedes by a deficit of 25 points whereas Sebastian Vettel is 30 points adrift of championship leader Lewis Hamilton. Ferrari has missed out a few opportunities this year and could lead both the Drivers’ and Constructors’ Championship. Binotto thinks that the fight for both titles are on the table give Ferrari’s current form. „So again, compared to last year, I think we can count on a car, which is certainly better in efficiency today. There are still eight races to go, so it’s still long and it will be a long and difficult battle,” concluded Binotto.